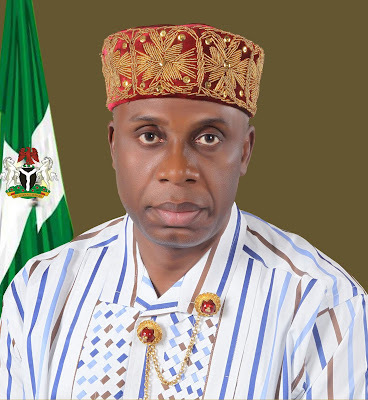 The Minister of Transportation, Rotimi Amaechi has pledged to ensure the completion of the Lagos-Ibadan rail project in honour of the late Chairman of the Nigerian Railway Corporation (NRC), Usman Abubakar. He stated this on Monday in Kaduna during a condolence visit to the family of late Abubakar who died Oct. 11 at the age of 68 after a brief illness in Abuja. The News Agency of Nigeria recalls that Abubakar was appointed Sept. 27, 2016 as the Chairman of NRC board. The minister, during the visit said that the Lagos-Ibadan rail project was a pet project of the deceased stating that it was his wish for the project to be completed. He said that the deceased was the chairman of the technical committee, adding that he always ensures that every complaint on the project was resolved. Amaechi said that Abubakar was committed to the project and was always present at all the monthly inspection carried out by the ministry. “We were working too closely that I gave him part of my responsibility at the railway project, part of the responsibility was the chairman of the technical committee and he solved a lot of our technical problems. “We are already feeling his absent a lot because at the end of the day when we ran into such problems again, I will say if chairman was here now, it would have being resolved. “We find it very difficult but one thing we owe him is to ensure that we complete the Lagos-Ibadan railway, which was his pet project, he dreamt of that project, stayed in Lagos and came for all inspections. “He said to me, that whatever it will take to make us deliver this project to make Nigerians happy, he was willing to participate. ”His death came as a shock because I never knew he was sick,” the Minister said. Speaking, the deceased son, Mohammed Abubakar, described his father as a man of integrity and a strong loyalist of President Muhammadu Buhari. “My father was a simple man of great integrity and a staunch loyalist of President Muhammadu Buhari. He always valued education more than anything. “He would always tell his children that, he would not bequeath us with money when he died and that the only thing he could do was to make sure we had quality education. “He lived a very simple life so much that people barely knew him as the Chairman of NRC. He never wanted the attention, glitz and glamour that came with the office,” he said.